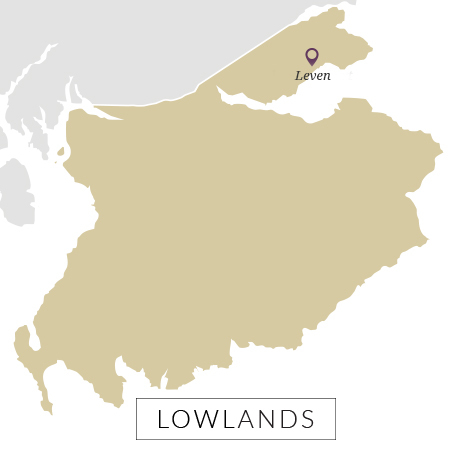 Leven is a distillery like no other. 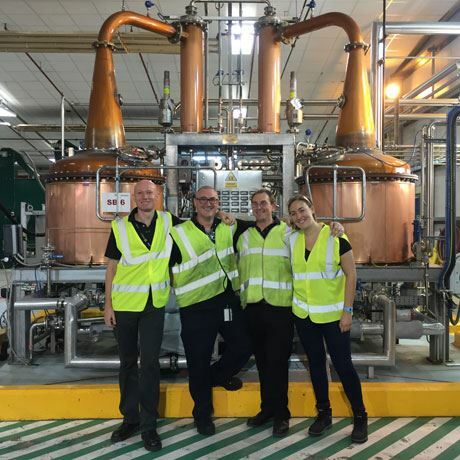 As Diageo’s experimental facility situated within the Leven bottling plant, the distillery has been designed to create any style of spirit Diageo desires. There are two mills (4-roll and hammer) so it can process both malt and grain (although there is currently no continuous still to progress grain trials through to distillation); a mash tun that can shapeshift from a semi-lauter into a mash conversion vessel; an excessively large heat exchanger to allow solids from grain mashes to flow through with ease and avoid blockages; and stills with interchangeable middle sections which can mimic any one of the company’s 28 other stills. As well as being the only distillery in Scotland to reside within a bottling facility, it is also one of the only licensed distilleries in Scotland without a spirit safe, having received special dispensation for being an experimental site. Its purpose is to future-proof Diageo’s Scotch whisky business, by finding new flavours and tweaking processes to improve efficiencies. Leven’s distilling team work closely with Diageo’s blenders to experiment with flavours throughout the process, from milling at different settings, playing with different barley varieties, yeasts and heavily roasted malts, and moving cut points. 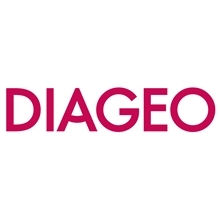 By running its experiments here, Diageo avoids the break in normal production output it would otherwise experience at one of its other distilleries, although some trials are scaled up at select sites. Diageo opened its bottling plant at Leven, Fife in 1973 to bottle various Scotch whisky lines, though it has since diversified to also handle non-whisky lines such as Smirnoff vodka and Gordon’s gin produced at its nearby Cameronbridge distillery. The plant underwent a major £13 million expansion in 2001 to handle the increase in ready-to-drink alcopops such as Smirnoff Ice, before a further £86m expansion introduced in 2012 which increased production capacity to 30m cases per year. 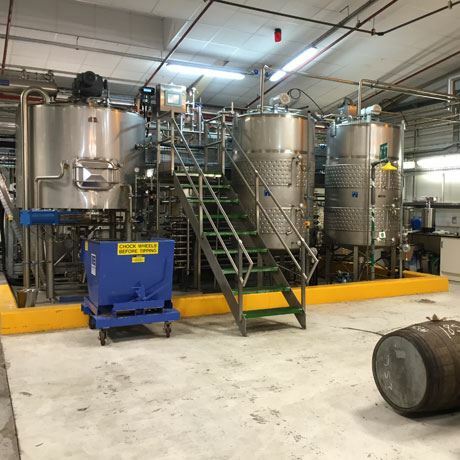 However, it was in 2005 that Diageo introduced Leven’s Process Liquid Development Area (PLDA), a new blending and filtration facility within the plant which initially focused on new product development. 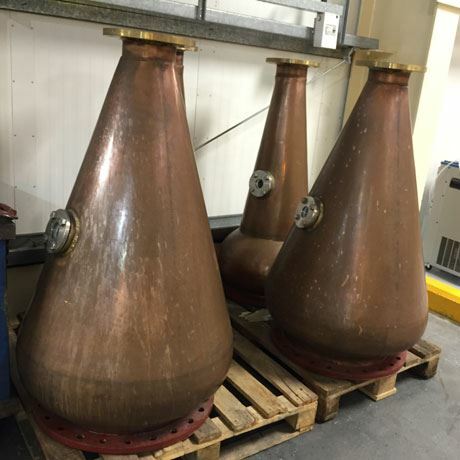 By 2008 a pair of stills were introduced – named Isabel and Grace after PLDA manager Richard Cowley’s daughter – and in 2012 two mills, a mash tun and four washbacks were moved in. 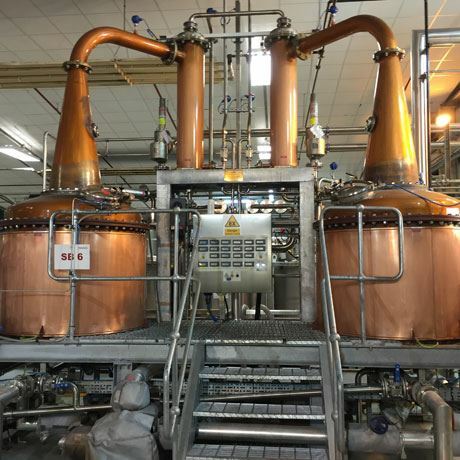 In 2013 Leven was established as a fully functional distillery, becoming the 29th in Diageo’s portfolio. While its focus today is to experiment with processes and flavour innovation in Scotch whisky, Leven also distils sake for Diageo’s Jinzu line – the only product to be regularly produced at the distillery.